Some of the other known standards of Williams’ catalog include “We Should Be Together,” which became the singer’s first Top Five hit; his first #1 single, “I Wouldn’t Want to Live If You Didn’t Love Me”; “You’re My Best Friend” and “I Believe In You”. However, it was the song included below that this writer has loved since I first heard it in 1976. It was covered by no less than Pete Townshend and Ronnie Lane and is not only a masterpiece, but a work of perfection. 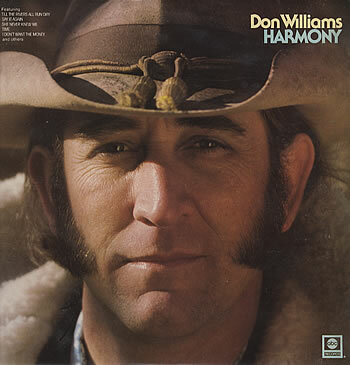 To me, “Till The Rivers All Run Dry” was Don Willliams at his finest – which is what made him my favorite country singer. Farewell, Gentle Giant. And thank you for gracing us with your songs.